AMACI, the Association of the Italian Art Museum, has been calling on artists to keep their studios open and to welcome visitors on the occasion of Contemporary Art Day (Gironata del Contemporaneo) since 2005. 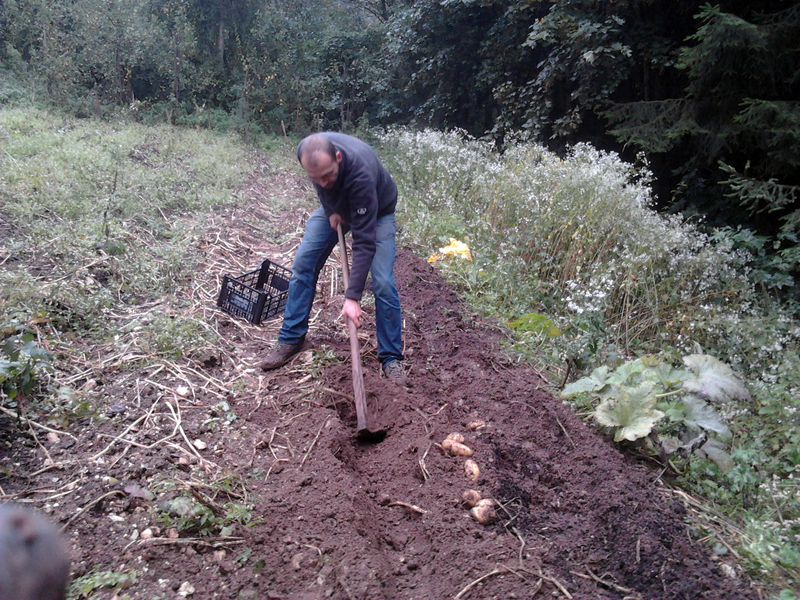 In 2013, Hannes Egger decided to use this day to harvest potatoes at Fennberg (Favogna). He served this potato of contemporary art as potato soup at the exhibition and in Turin a few weeks later.